Print on demand services is the technology and the business process in which the book copies are not printed until the order has been received and allows the books to print in the small order according to the orders. Build to order is the business model adopted in many industries and the “print on demand” has began only after the introduction of digital printing. Before the introduction of digital printing, production of small number of publications has many limitations. Print on demand is used as the way for printing the items for a fixed cost per copy, regardless of the size and the order. The unit price of the each copy is higher than with offset printing and the average cost is low for small print runs, because the setup costs are higher for the offset printing. In this article I am going to discuss how to use print on demand services. There are so many services in the market offering the straightforward Print on Demand services, where you can get the finished file created with their specifications, upload the soft copy of the book and order how copies you want. 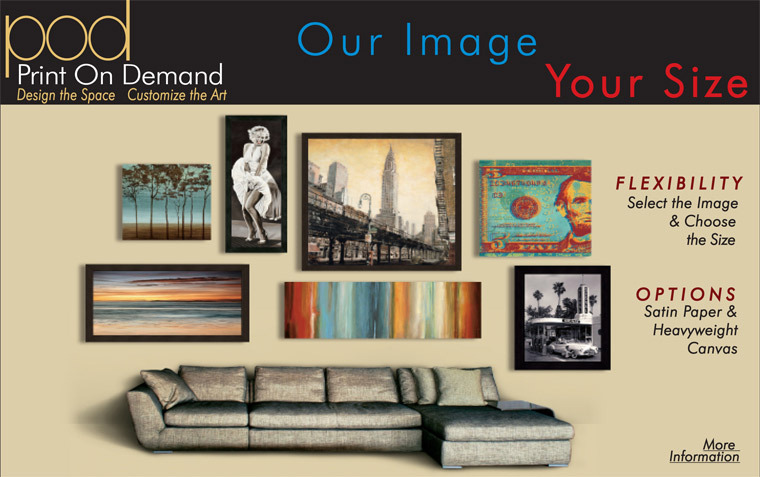 Some of the print on demand services includes Amazon’s Create Space, Blurb, Lulu and many others. Most of the try to sell the add-on services are aimed at the authors, editing, includes the designing the cover and the marketing help. There are also local printers or the copy shops which have the POD systems, but charges are very high and the quality also do not match with the bigger firms. But if you want the work to be done quickly then these local services worth it. For the small quantities and if the quality is exceptional and to avoid the shipping charges then these local options are competitive as well. ISBN code is the International Standard Business Number and it is the book industry’s unique identification code. Most of the Print on Demand services requires the ISBN code of the book to upload it, even if you don’t intend to sale it. Most of the services allows you to purchase the code from them which is fine if you don’t want to produce the other editions. If you use the ISBN provided by the Print on Demand service, you cannot produce and identical version of the book and can’t sell it anywhere. Some ISBN registrars like Bowker’s sells the single ISBN for $125, 10 ISBN codes for $295 and 100 for $575. If you buy ISBN codes in batches in co-operation with your friends and colleagues then you can save a lot more. The need of creating the barcode depends on the POD service you use. There are some online services which create the barcodes instantly. Almost all the POD services accept the files in PDF format and so you can use any of the page layout software you want and it creates the PDF files which meets the POD service requirements. I recommend to use InDesign, because it offers the decent learning curve and the powerful tools. You can also use InDesign through monthly subscription via Adobe’s creative cloud. If you are new to InDesign then you can go through some video tutorials on internet. Some of the POD service requires PDF/X version of your copy. PDF/X is the format used by the offest press and to create this format you need to have either Acrobat 6 or InDesign . If you are planning to sell the book to the public, you should take some time before you start to write the marketing copy and the metadata before the book get printed. This includes the descriptions of various length, publication date, edition number, bibilographic data and about author. Select size and format : Every POD service has the preset sizes among which you need to select the one. Some of the POD services offer the templates for InDesign and some for the Microsoft Word and all the service offer the specific measurements. Some Print on Demand services offer only paperback covers, while some other offer hard and soft cover publishing and also includes the dust jacket option. All the POD services let you to choose between the black and white interior and also the color interior, but remember there is a huge price leap between these two and the full color takes more longer to print and consumes more ink. Set the page margins : In addition to the trim size each POD service has the different requirements for how far the printed elements can be extended into the margins. Some of the services allow you to bleed the images or the color fields, which means that the art extends the past of the page edge and when it get trimmed it goes exactly to the edge. Upload : After designing the book to the specification, follow the Print on Demand service’s directions to upload your book which is to be printed. Many of the services require to upload the cover page separately and which need to be setup which need to come in the front and which to be in back. POD service gives you the exact measurements which are based on the paper type and the page count. After uploading cross check for the errors and using the Createspace, you can use the detailed review system which highlights any mistakes and errors like images with very low resolution and text creeping into the margin and more. When you finally decide everything is fine and the book is ready to print, then just the few clicks put the book on sale or you can order the multiple copies for your own purposes.